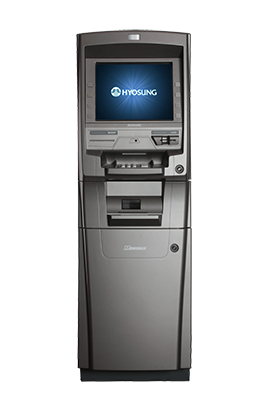 Nautilus Hyosung has designed the MX5300 Monimax ATM to be the answer to your high volume ATM needs. This ATM is financial institution quality. It is made for businesses that need a reliable heavy duty machine to withstand heavy customer use. When you need an ATM that can hold thousands of notes, the MX5300 is it. Standard configuration is a single 2000 note cassette and can be outfitted with up to 4 cassettes for a total of 8000 notes. 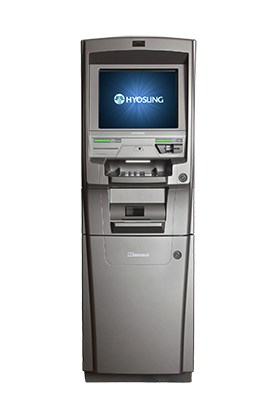 To add to the customer experience, Nautilus Hyosung equipped this ATM with a huge 15 inch color diplay. The MX5300 comes in two different models. MX5300CE and the MX5300XP. The MX5300CE is based on the Windows CE platform version 5.0 while the MX5300XP is powered by a Windows XP processing system for added functions. The MX5300XP specs show that the display is also a touch screen. Both MX5300 models include an electronic lock as standard equipment. Both models are designed to operate with minimum operator intervention. 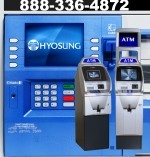 If you are interested in either ATM, give us a call for a price quote and availability. © Copyright 2013 IndoorATM.com. All Rights Reserved.